Provisioning devices to users should be simply an extension of the foundational identity lifecycle management system. And, mobility management should enable IT teams to implement simple policies to enable and secure access from mobile. 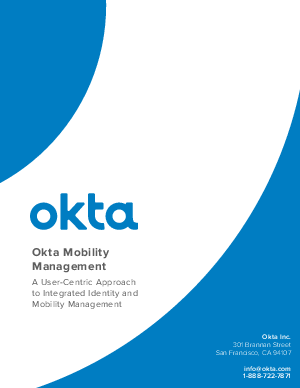 This eGuide provides an overview of how Okta can power BYOD programs with integrated identity and mobility management, delivering the experience users demand with the security and control IT needs on any device.